Irritable Bowel Syndrome or IBS can be a very embarrassing condition to have. Unfortunately, it’s not something that is considered to be an appropriate conversation topic. As a result of this, a lot of people tend to be quiet about it. Some are often too ashamed to bring their concerns up to their doctor, causing them to endure a painful condition without any diagnosis or treatment. This article isn’t a substitute for medical advice, but we will address some of the IBS Symptoms so that you can get some answers to the questions you might be too embarrassed to ask. IBS stands for Irritable Bowel Syndrome and it’s precisely what it sounds like, an inflammation of the bowels. Doctor’s are not completely certain of what causes IBS, and it affects everyone differently. 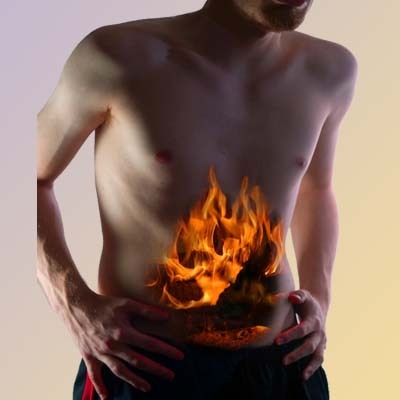 The symptoms of IBS can range from minor stomach discomfort to severe pains in the abdomen. You might also experience indigestion, diarrhea, constipation, stomach bloating, or gas. Is IBS always painful and constant? No. And that’s what makes it one of the hardest things to diagnose. Many people will have the symptoms and after a few hours or days of enduring them, they dissipate. When there’s no problem, people tend to forget about it until the cycle happens again. IBS tends to come in waves called “flare ups”. What often happens is that something happens or you eat something that causes the symptoms of IBS to act up. What triggers an IBS flare up? Depending on your body, a number of things could cause a flare up of IBS. People report that stress will cause the familiar feeling to come in their stomach. A hormonal imbalance is another reason why you might experience one or more of the IBS symptoms. If your stomach is sensitive to certain foods, you may experience a flare up of Irritable Bowel syndrome. Some people even say that an IBS episode just simply happened with no apparent trigger. That’s the problem with the disorder. In some ways, you can learn your triggers and predict when you’re going to have a flare up. Other times, it is completely unpredictable and symptoms just appear. Living with IBS is literally a gamble. Avoiding triggers is the obvious way to prevent IBS symptoms. However, some things such as stress is unavoidable. Your doctor may prescribe you with a prescription medication or recommend a special diet that can keep your bowels operating efficiently. For the most part, you’ll more than likely learn to have to treat the symptoms of IBS. For stomach discomfort: Try a hot compress for 15 minutes at a time. You could also try a heating pad on the area of the stomach that hurts. Be careful not to keep the heating pad on too long to prevent burning your skin. For diarrhea: You can try over the counter anti diarrhea medication to help to stop it. If you do have a case of diarrhea, stay hydrated with water or healthy sports drinks. Your body is likely losing a lot of its healthy liquids so you want to remain hydrated. Will changing my diet help IBS? Again, it’s going to depend on what your triggers are. Many people do report less diarrhea when they consume more fiber in their diet. Others find that eliminating gluten (wheat) from their diet has dramatically helped reduce the frequency of their flare ups. Highly acidic foods (oranges, excessive oils, grease), are also known to cause indigestion. Ensuring that you are selective on when you indulge in these foods could reduce your symptoms. Or, taking an antacid before you eat, or right after (depending on how the medication works), could reduce the occurrence of acid indigestion. Are there any alternative methods to healing IBS symptoms? If you want to avoid taking medication, there are a few alternative methods that some people claim to have helped their symptoms. For example, peppermint is a natural antispasmodic. That means that it could help soothe cramping in the intestines and stomach. If you take peppermint capsules, be warned that it could worsen your heartburn. Some report alleviation of pain. Acupuncture has long been used to treat everything from migraines to depression and anxiety. You might consider seeing a specialist as people have claimed that this alternative medical practice has helped their symptoms. Regular exercise, movement, or yoga could help reduce stress. Have you noticed that sometimes when you’re nervous, you get a case of the butterflies or a stomach ache? That’s because your intestines and stomach are contracting. Learning how to prevent avoidable stress from life’s normal activities is a great way to keep the stomach at ease. Some find that going under hypnosis can help with stomach symptoms as well as stress. Probiotics contain good bacteria that our stomachs need to properly digest food. You can find probiotics in pill form, but they do occur naturally in foods like yogurt. It has been suggested that if you do have Irritable Bowel Syndrome that perhaps your body doesn’t have enough probiotics to help it operate smoothly, and getting more good bacteria could help relieve your symptoms dramatically. Only your doctor can formally diagnose you with IBS. More often than not, people just write off their IBS symptoms as having “bowel problems”. It could be much more serious than that if you notice that your symptoms occur more than twice per month. Unfortunately, IBS is a chronic condition, that is, there isn’t a cure yet. You’re going to have to learn how to control it over time. Depending on your body and what your triggers are, you can work on eliminating foods or situations that might cause your body stress. The symptoms of IBS can also be treated with medication, lifestyle changes, or alternative medicine. I was diagnosed with IBS, do I have to change my entire life? It sounds cliché, but the key to living with IBS is to learn how to control it instead of letting it control you. In order to control it, you have to be able to ditch the feelings of shame and embarrassment. The truth of the matter is that over 20% of people experience IBS. At the very least, become comfortable enough to bring it up with your doctor. Not only can your doctor prescribe medication, but they can work out a treatment plan with you that will help you not have to design your life around your IBS. There are some changes that you can make in your life that are actually good for you. First and foremost, learn as much as can you can about IBS. Since doctors don’t know the cause and the triggers for it are so vast, you have to really get in tune with your body and what it means for YOU to have IBS. The more you know, the more you can stop worrying about what the problem could be. Another thing you can do is to learn what your triggers are. Make it a point to avoid the things that triggers an attack. If you have a hard time with overly acidic foods or alcoholic beverages, then do your best to avoid them. Keeping a trigger journal might be helpful too so that you can notice patterns or trends. No battle is easy whrn fought alone. Family members and friends might not understand how much discomfort that you’re in unless they’ve experienced IBS. There are many IBS Support Groups out there. With a quick search of the internet, you can be connected to hundreds of thousands of people who know what it’s like to be in your shoes, and can offer support and help. 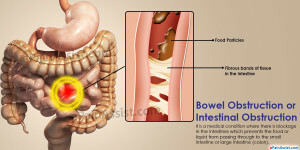 Irritable Bowel Syndrome is a very serious condition. It’s not like a sore neck or broken bone that you can bring up over dinner and get input. It’s internal, so you can’t see your stomach inflamed. The symptoms, especially diarrhea aren’t things that we are comfortable talking about. However, in order to get relief from this painful disorder, you have to be able to admit to yourself that there is an issue, and also to your doctor so that you can get on some kind of treatment plan. If you’re wondering if you do have IBS, you should get to your doctor as soon as possible. Think about it, the symptoms are probably worrying you, and causing more stress on your stomach making the symptoms to be much worse. You don’t have to be embarrassed, you’re not the first person with IBS, and you won’t be the last. There is no cure for IBS, only a treatment. The question is, will you let it control your life? Or will you get a hold of it and take control of it yourself?